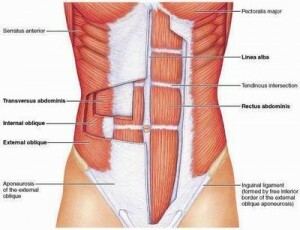 It may be a bit redundant to say it but the abdominals are quite important to how we move but there you go they are. They allow for transference of force from the lower to upper body and vice versa so weak abdominal and lumbar muscles can reduce athletic performance and pain from simply carrying out normal daily activities. They keep the torso stable, try squatting with a heavy weight if you have weak abdominals or lumbar musculature and you will fold over as you try to rise out of the bottom position. Our limbs move contralaterally when we walk or run and they prevent the rotational movements that occur as a result of this. The more stable you are and the less rotational force you generate, think your arms staying at the side of the body rather than coming across your body when running, the faster you’ll be as the rotational force you generate causes a breaking force as the foot strikes as you need to straighten up before you can move forward, admittedly this is done in micro seconds. The muscles involved include Rectus Abdominis, External Obliques, Internal Obliques, Transverese Abdominis, Multifidus , Quadratus Lumborum carry out a two roles depending on how you are moving. When trying to move the torso or lower body they can all be actively involved in the flexion, extension, rotation and side bending with the exception of Transverse Abdominis. The degree of involvement of the individual muscles depends on the movement involved. 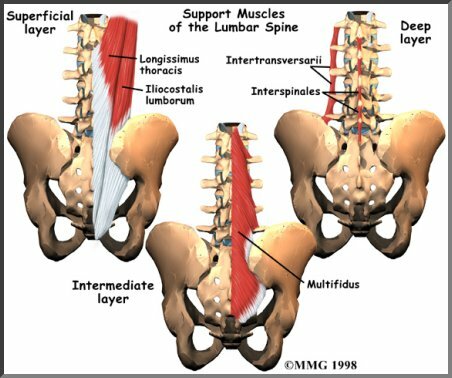 Bi-laterally they flex the vertebral column and unilaterally flex it laterally to the same side and rotate to the opposite side. When it comes to stabilising the torso and pelvis the Rectus Abdominis takes a back seat as the others take over the major work load. When stabilising the torso or pelvis the abdominals work along with the deep spinal muscles multifidus and quadratus lumborum by controlling the flexion and extension of the lumbar spine and through this the movement of the pelvis itself, though they also get help from the glutes, illiacus, psoas and some of the adductors when it comes to moving the torso but not the pelvis/lumbar, think hip flexion or extension. Soft tissue restrictions within any of these structures can cause issues with regards to the ability to hold ourselves in “good” posture. The ability to extend the thoracic spine is vitally important in keeping your shoulders healthy and in many athletic movements. We often put a lot of emphasis on the mobilisation of the joints of the thoracic spine and ribs for this reason but the tension within rectus abdominis can be thing that is stopping you from being able to fully extend your thoracic spine and can affect your head position both indirectly as a result of limiting thoracic extension and directly through its fascial connection to sternocleidomastoid, what Tom Myers calls the superficial front line. In terms of soft tissue work we want to lengthen from the rectus abdominis through the sternocostal fascia and not just the rectus abdominis itself. The internal and external obliques can pull us short on one side and cause us to rotate through the rib cage and pelvis and play an important role in holding us in excessive posterior/anterior rotation with regards to how the inominates sit in relation to one another, something that is probably more important with regards to back pain than the posterior or anterior rotation of the pelvis as a whole. 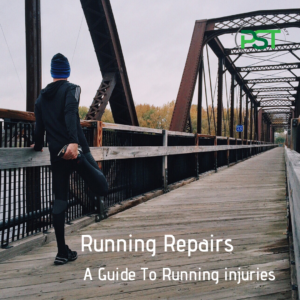 Here we want to work against the direction of the rotation to lengthen the tissue and ease the strain pattern in the tissue. As with any other area of the body strengthening the abdominal musculature is an important part of the process in dealing with any problem. 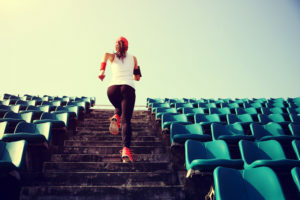 Many people do exercise the area within their workouts but rarely actually pay any attention to what they are try to achieve with the exercises they are doing. Using various balls and other devices yet not paying attention to actually holding the ribcage and pelvis in position whilst carrying out the exercise and allowing the lumbar and/or thoracic spine to flex and extend through the movement when the challenge comes from holding these along with the pelvis in a neutral position. With the next piece we’ll have a look at what control of the pelvis is and some strategies for looking to address this.